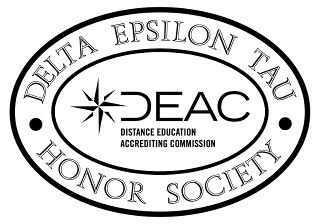 The Distance Education Accrediting Commission (Washington, DC) sponsors the Delta Epsilon Tau International Honor Society for Distance Learning. An institution must be accredited by the Distance Education Accrediting Commission to be eligible to establish a Chapter in this Honor Society. • Give many students an incentive to complete their courses.